The classification store has quite some similarities to a key/value-like datatype. A key/value data type allows to add an arbitrary number of key/value pairs to objects with the restriction that each key can only be added once to that object. There can be multiple store with completely isolated feature sets. 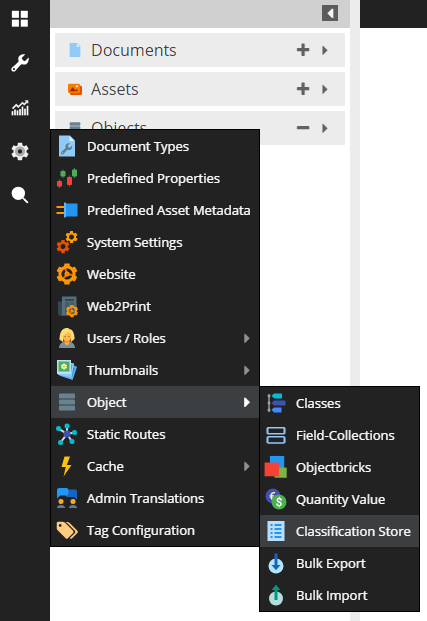 An object can have more than one classification store. Localization is supported (optionally, can be configured in the class definition). The classification store introduces the concept of a fallback language. All simple data types (e.g. textarea, date, etc are supported). 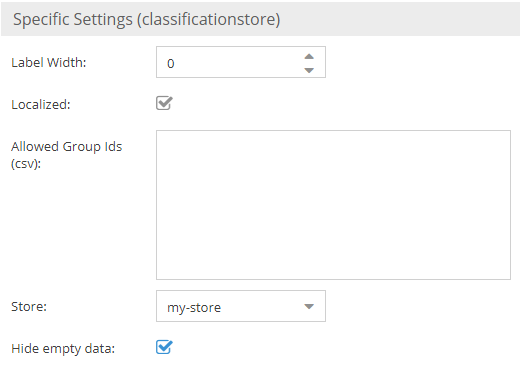 The store can be extended with custom data types. Takes advantage of the built-in mechanism for the field definition + data editing (validation, etc). Keys can be organized in groups. A key can belong to several groups. Individual keys currently cannot be added to the object. Instead, the corresponding groups added. The allowed groups can be restricted via the class definition. 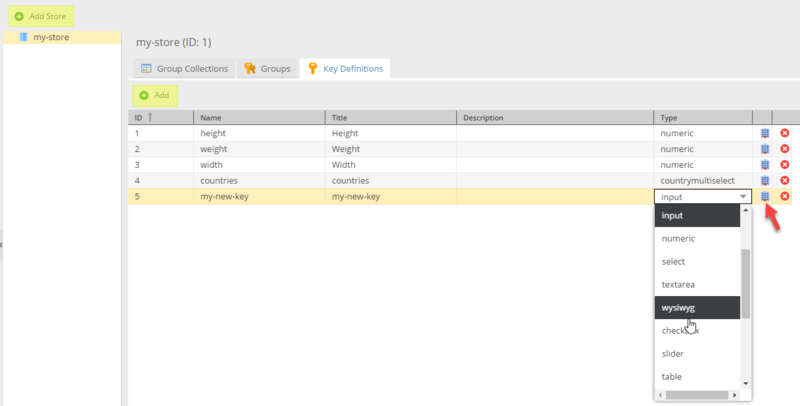 Before using the classification store, at least one classification store with collections, groups and keys has to be defined. 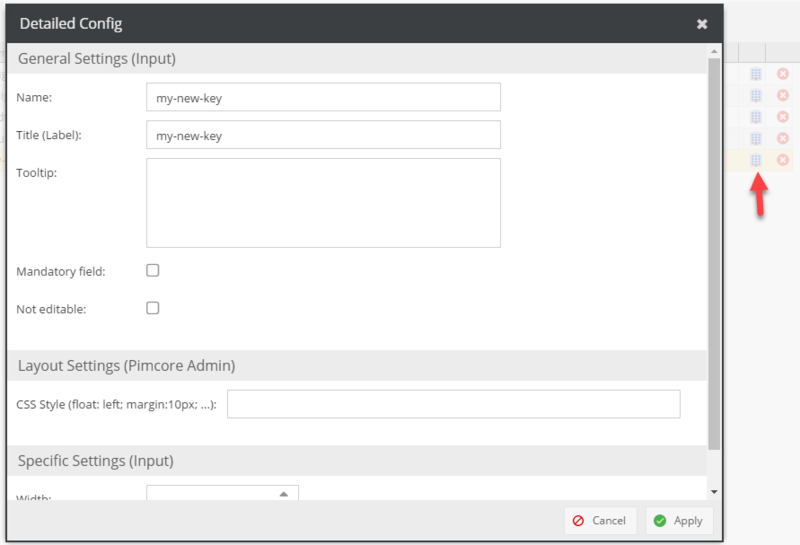 Optionally you can decide whether you want to see all keys or just the non-empty ones. In contrast to localized fields fallback and inherited values are first resolved in a horizontal way. If no value can be found on the same level, the parent level is scanned in the same language order. As mentioned before, there is the concept of a default language which is just an additional pseudo language which acts as the last resort. Consider the following example and let’s assume that English is the fallback language for German. We request the German value for the object at level 3. 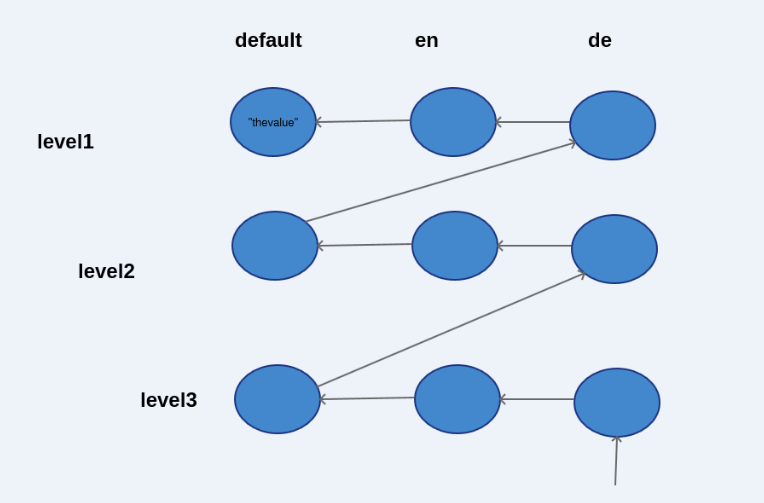 Since the only value can be found on level 1 for the default language the tree is traversed as depicted.